Tripawds Community member emmylauryn is recipient #42 of the Maggie Moo Fund for Tripawd Rehab. 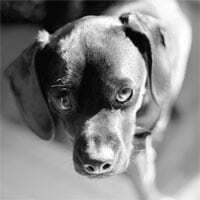 Read on for details about the benefits of canine rehabilitation for Gemma. 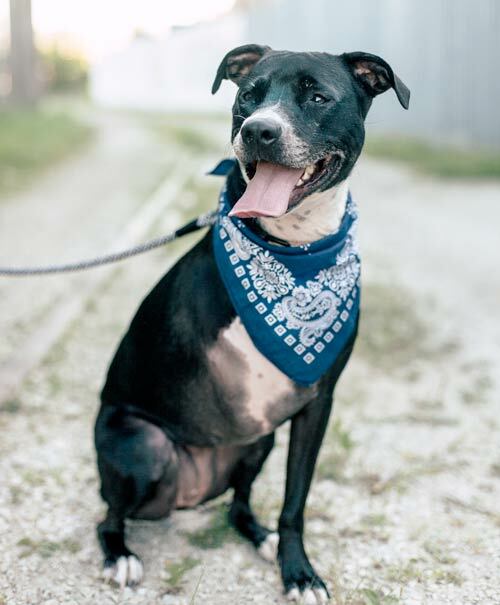 My name is Emily and I recently took my Pitbull mix to a rehab therapist after hearing about the amazing Tripawds Foundation and the possible opportunity for financial assistance. My girl Gemma is 3 years old now, turning 4 in September. My fiancé and I adopted her when she was 5 months old from the Animal Care League in Oak Park, Chicago. 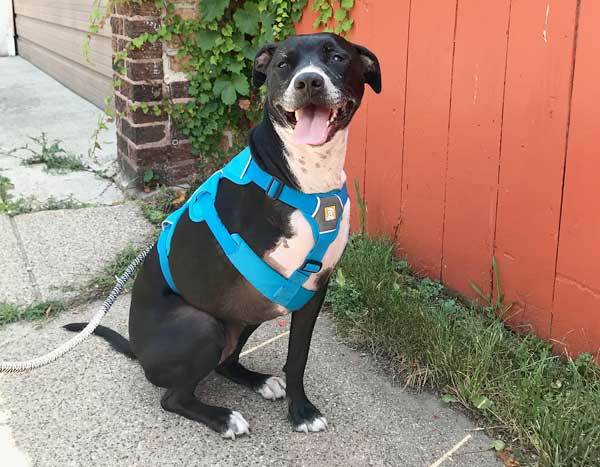 Six months ago, Gemma was playing in the backyard of a family member’s house when she was pulled under the fence into the adjoining yard by three dogs and attacked. The result was lots of puncture wounds and a front leg that was left beyond repair. The only option for us was to amputate which was done the very next day. We knew it would be beneficial to get professional help from a rehab therapist, especially because Gemma had surgery a year ago on her back leg for a torn CCL injury. After this knee surgery we had taken her to Integrative Pet Care to help get her back on her feet so it was an obvious choice to take her back to the amazing team there after her amputation. We booked a session with Dr. Deanne Zenoni who had seen her previously and we felt so comfortable when we brought her back knowing that she was already familiar with Gemma’s physical condition prior to the amputation. 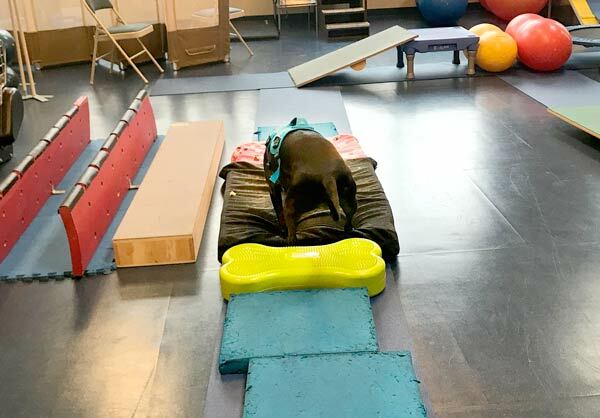 Dr. Zenoni watched Gemma as she hopped around their obstacle course in the gym to observe her walk. They confirmed what we had observed on long walks at home which is that she is shifting most of her weight on her back left leg and therefore is slightly lopsided. Her remaining front limb also shows more stiffness and loss of range of motion. These are areas that we want to address with further sessions. Although we were not given exercises that day because it was only a consultation appointment, we will be doing follow up appointments with them and we have put Gemma on a physical therapy program outlined by Dr. Zenoni which includes exercises, as well as work in the resistance pool. Most important and helpful thing we learned from our visit was that one of the best ways we can increase Gemma’s endurance is by taking shorter walks more frequently, rather than one long walk once a day. We have already begun implementing this and have started to see good results! We are so glad to have found the Tripawds Community online and have found such amazing support through the blog as well as Instagram! There were so many questions I had when Gemma first came out of surgery, which led me to finding this community through a Google search. I sat up for hours reading other people’s experiences and getting advice and encouragement.